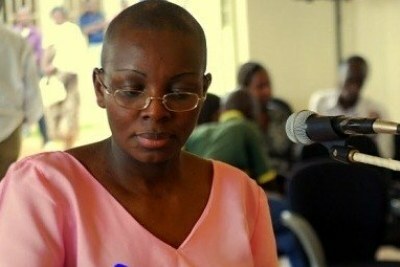 Victoire Ingabire, the leader of the FDI-Inkingi party who was imprisoned for eight years is among 2,140 prisoners to be released from jail. She urged authorities to release political prisoners and open up political space for competitive politics. 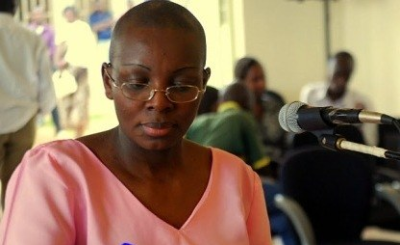 Protesters in the Netherlands fall for the release of Victoire Ingabire (file photo).